We're getting to that weird part of the year where there's a limited number of fresh fruits and vegetables available. And you know what that means? Okay, no, really, it's a thing. This is the time of year when I tend to make desserts that are heavy on ingredients like cream, chocolate, booze, and butter (so... pretty much all the good things in life, mirite???). 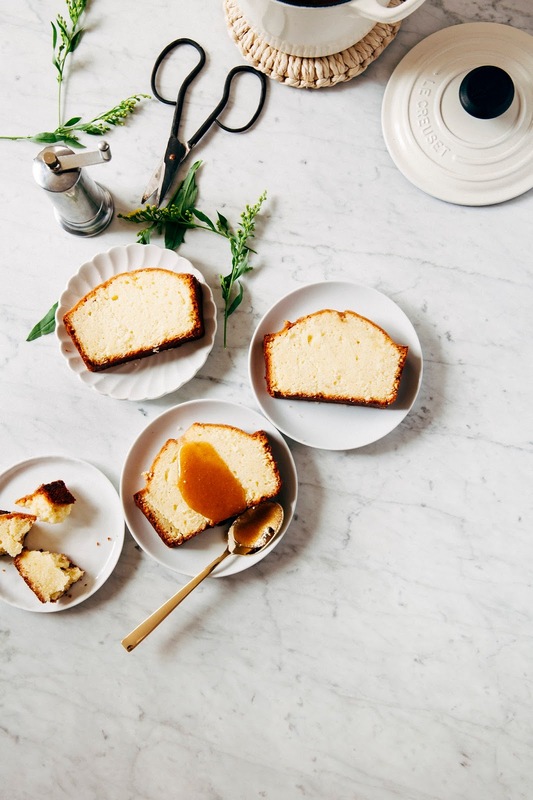 'Cuz let's talk about this pretty little pound cake! 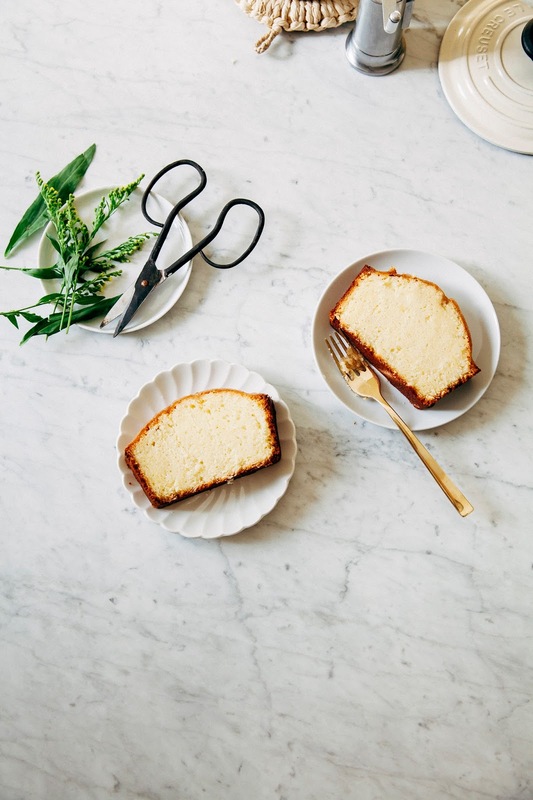 It's based on my favorite classic buttery pound cake recipe, which I love for its simplicity and its infinite adaptability. 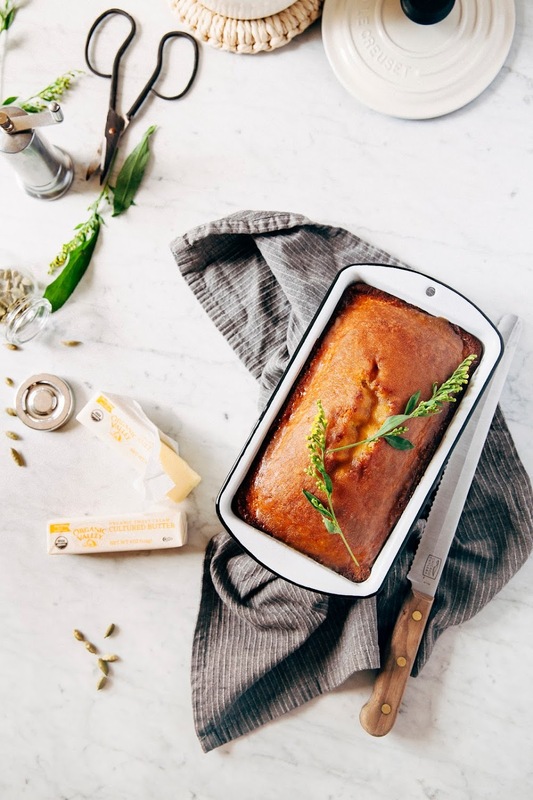 A good pound cake starts with the best ingredients — farmer's market eggs, Organic Valley cultured butter, etc. After that, you can play around with the recipe as much as you want! This time I've infused the batter with some of my favorite winter spices like cardamom, vanilla, and cinnamon. The cake is then drenched in a wonderful rum simple syrup and topped off with a brown butter glaze. And if I'm being 100% honest with you guys, this recipe was actually inspired by the Harry Potter book series. Reading the books, I was always jealous that some of the snacks in the Harry Potter universe simply didn't (and, well, couldn't really) exist in real life. You know, things like every flavor jelly beans (including ones that taste like booger and belly button lint; to be fair, Jelly Belly attempted a muggle version but left out the crucial flavor of eclair, tsk tsk) and chocolate frogs that actually hopped around in your stomach. The thing I was always most jealous of, however, was butterbeer. Butterbeer is controversial amongst us Harry Potter nerds — some argue that it would taste like butterscotch, others maple syrup and cream soda, and even Starbucks weighed in to make a version that tastes like caramel. My camp, however, is that butterbeer would taste like a mix of brown butter and rum with strong notes of cardamom, vanilla, and just a little hint of citrus, which are the flavors that pretty much make up this cake. So without further ado, I present you this recipe inspired by two of my most favorite things in this whole wide world — butter and Harry Potter. Enjoy! Thank you to Organic Valley for sponsoring this post by providing compensation and ingredients for the recipe, as well as the fun reminder that winter is indeed Butter Season. If you haven't had a chance to try any Organic Valley products yet, head to the grocery store as soon as possible — their stuff is all organic and always high quality. Their cultured butter is one of my favorite ingredients to bake with. As always, all thoughts and opinions are my own. Thank you for supporting Hummingbird High and my sponsors! 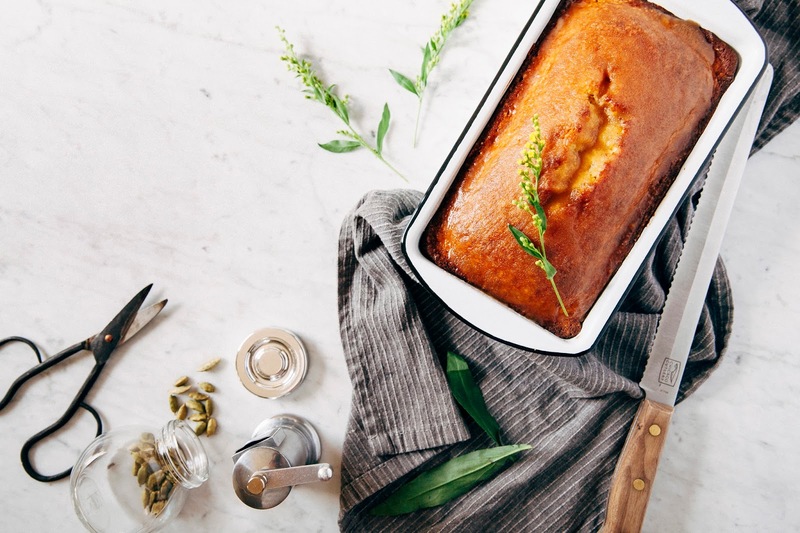 Seriously though — a good pound cake is defined by the quality of its ingredients. Because there's so much butter in this recipe, I want y'all to use the best quality you can get. Go Organic Valley or bust! 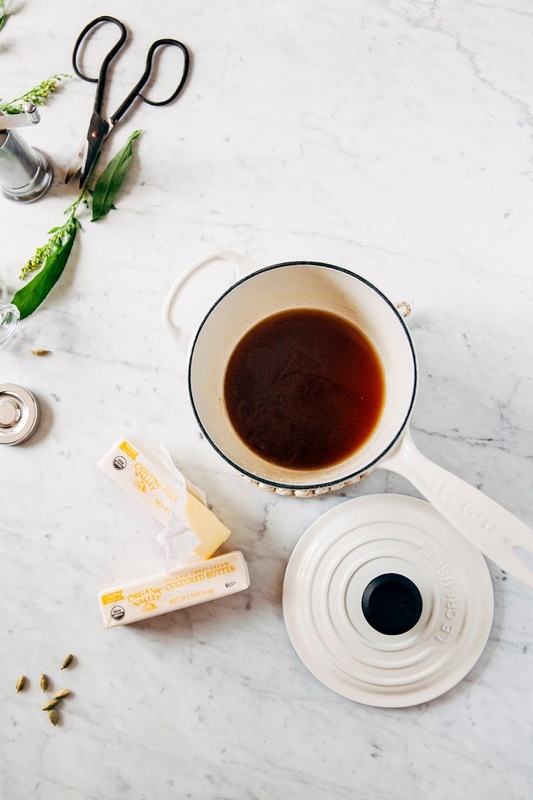 I know it's a little pricier than generic butter, but believe me, it's worth it — also, here are some coupons to save on Organic Valley products and sweeten the deal just a little bit more. I always find pound cakes a little tricky to bake as the edges seem to bake a lot faster than the middle. If you find that the edges are browning but the center of the cake still hasn't finished baking, loosely cover the edges with long strips of aluminum foil to prevent an uneven bake. If you find that your edges have overbaked, don't panic! Just poke more holes along the edges and brush more simple syrup in that area. In a small bowl, combine 1/2 cup granulated sugar and the fresh zest from 1 medium orange. Use your fingers to rub the zest into the sugar until it starts to form clumps; doing so will release oils from the orange that will infuse your sugar and make it more fragrant. Transfer the sugar and zest into a medium, heavy bottomed pan and add 2 tablespoons dark rum and 2 tablespoons water. Bring to a boil over medium heat, whisking to dissolve the sugar into water. Boil for an additional minute before removing from heat and pouring the syrup into a liquid measuring cup to cool completely. As the syrup cools, bake the pound cake. 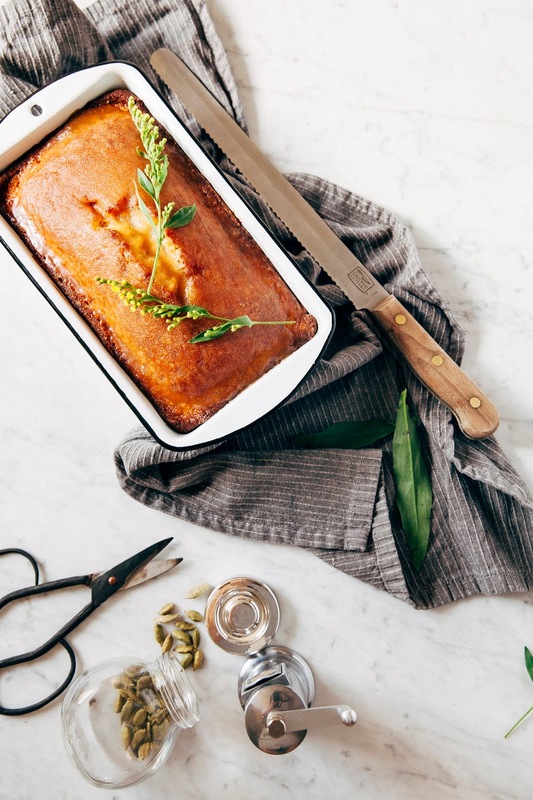 Preheat the oven to 350 (F) and prepare a 9 x 5-inch loaf pan by spraying generously with cooking spray. Set aside. In a small bowl, combine 1 1/2 cups granulated sugar and the fresh zest from 1 medium orange. Use your fingers to rub the zest into the sugar until it starts to form clumps; doing so will release oils from the orange that will infuse your sugar and make it more fragrant. Set aside. In a medium bowl, combine 2 cups all-purpose flour, 1 teaspoon ground cinnamon, and 1 teaspoon kosher salt. Use a spice grinder to grind 5 to 6 cardamom pods into the mixture. To grind cardamom, remove the seeds from each cardamom pod by using the flat of a chef’s knife and pressing down firmly on the pod (in the same way you would smash a clove of garlic). Pry open the shell, pick out the cardamom seeds, and use the spice grinder to grind the seeds into a fine powder over the flour mixture. Whisk the spices into the flour until well combined. Set aside. In the bowl of a freestanding electric mixer fitted with a paddle attachment, beat 1 1/2 cups unsalted butter on medium-low speed until it becomes light and fluffy, about a minute. Add the sugar and the zest (from the 2nd step) and increase the mixer to medium-high, beating for an additional 3 to 5 minutes and scraping down the sides of the bowl as needed. When the butter and sugar mixture is light, fluffy, and almost doubled in size, reduce the mixer speed to its lowest setting. Add 6 large eggs one at a time, only adding the next egg when the first one has fully incorporated into the batter. One all the eggs have been added, add 1 teaspoon orange extract and 1/2 teaspoon pure vanilla extract. Scrape down the sides of the bowl and turn the mixer back on to its lowest setting, and add the flour mixture (from the 3rd step). 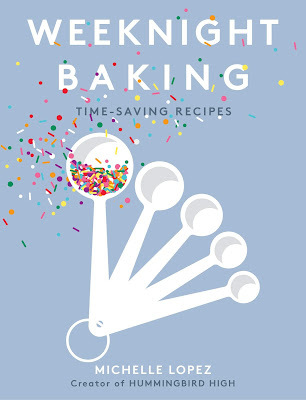 Continue beating on low speed until the dry ingredients have just combined into the wet — it’s best to still have one or two flour streaks in the mixture and finish the mixing by hand with a rubber spatula. Transfer the batter into the prepared pan, smoothing the batter evenly across the pan with an offset spatula. 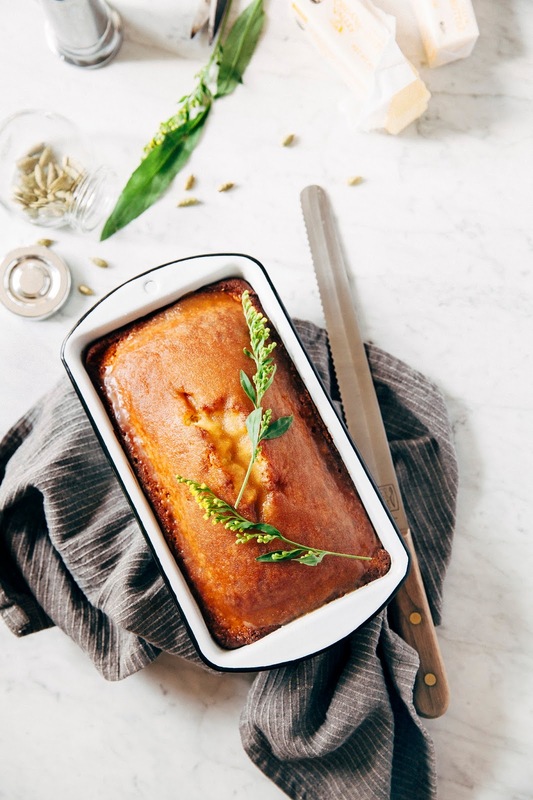 Bake in the preheated oven for 1 hour, or until the cake is golden with a signature split in the center of a loaf. A cake tester inserted into the center of the cake should come out clean with minimal crumbs. See baker's notes — if the edges begin to brown too much before the center is set, loosely cover the edges with a couple pieces of aluminum foil. 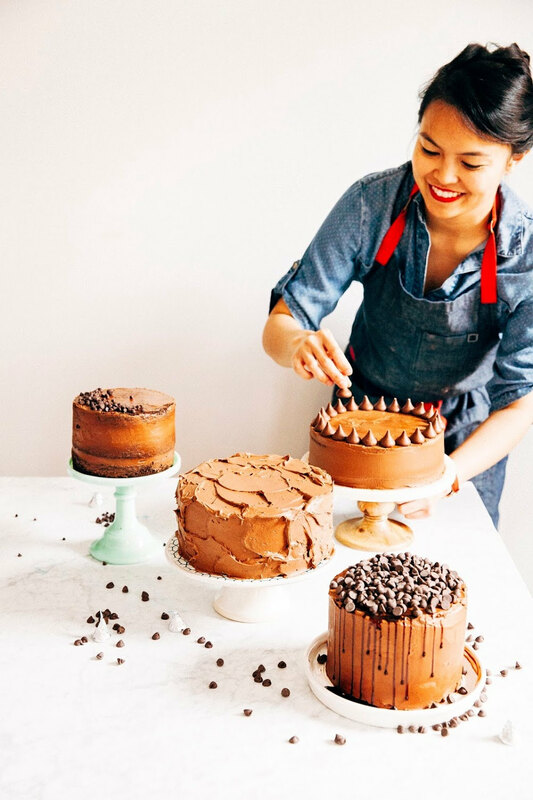 Once the cake is finished, transfer to a wire rack to cool for 10 to 15 minutes, before using a wooden skewer or fork to poke holes all over the cake. Use a pastry brush to spread the rum simple syrup across the cake, making sure that the syrup seeps into the holes that you just created. It will seem like there’s too much syrup, but just be patient — the cake will absorb the liquid. Be sure to use all of it for a delicious and incredibly moist cake. Continue to cool the cake on a wire rack until the cake is warm but not hot. Place the 3 tablespoons unsalted butter in a small saucepan over medium heat. Continue cooking the butter, using a heatproof rubber spatula to swirl it around occasionally until it is fully melted and the butter begins to brown, turn foamy, and emit a nutty aroma. Remove from heat and allow to cool for 1 to 2 minutes. Add 1/3 cup granulated sugar and 2 tablespoons dark rum, whisking to combine. Only whisk until the ingredients have just evened out through the mixture — the mixture should still feel slightly grainy. Use immediately and use a pastry brush to spread glaze over the top of the cake. As you brush the cake, the glaze will begin to set on the cake. Serve immediately.